He was the first Pinoy to gain international attention. He was first in becoming legendary...worldwide. 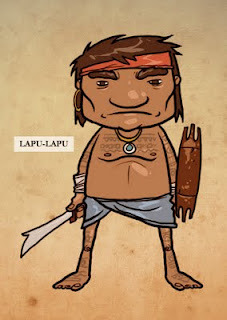 He was the datu of Mactan, and a warrior. Debatable it is, his battle accomplishments, his past, and his story. 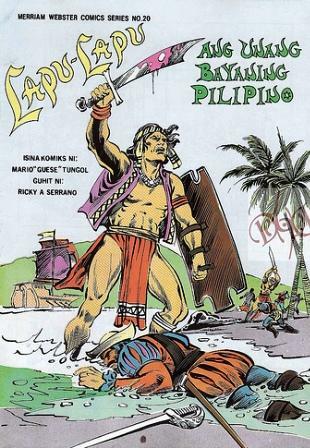 Not so much is written about the guy, but he has statues all over the Philippines. All we know is the one thing surely under his belt, Magellan's defeat. A win will always be a win. No matter what circumstances are involved. Once in a battle, every advantage is essential. Thus, if clearly disadvantaged, one may choose not to fight. It is a duty of a commander to know what he is up against. Poor Magellan, he was caught in a political entanglement and he was not a warfarer. Sea-worn sailors are not in a condition to fight an army with tons of battle experience, no matter what technological advantage there is. Still, a win will always be a win. And the credit goes to the datu.